The Universe guides us always, wherever we go and with whatever we do. It’s just that sometimes, it doesn’t get manifest in the things that we are expecting them to. If you keep seeing 22 or 222 at home, or while traveling, or even in your dreams, consider these as vibrational messages from your soul guides who are trying to draw your attention. Pay attention and try to understand what your soul guides are trying to tell you. The 222 meaning is all about choices that are in the offing. It can be a situation where your diplomacy will be required, or your intuition that will help you to journey through a particular situation in your life. 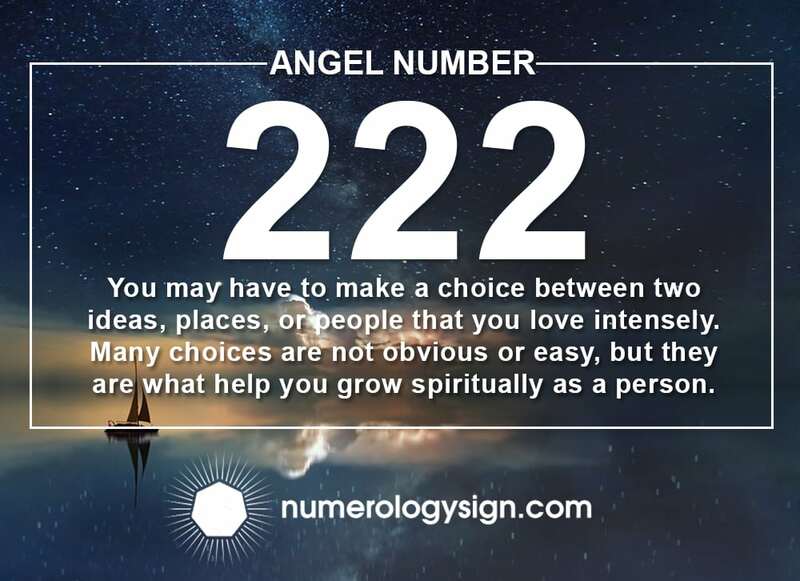 The angel number 222 is also about love and relationships, as well as harmony and flexibility. When you keep seeing 222, that’s just your soul guide’s way of sending confirmation that you’re on the right track! The meaning of number 222 suggests that you are at a point in your life where you are looking for some sense of balance. This means it’s the best time to have faith and to keep trusting. Two ones make a two, which means that there are two major factors in your life that you need to keep consistent. Once you do that, you can have a balanced life, both physically and spiritually. The angel numbers 222 also relate to encouragement. It’s a sign that you’re pushing yourself too hard lately, and you need to take it slow and have a break. You also may have a lot on your mind, or you are expected to make some tough decisions that can affect you or other people. The angel numbers 222 want you to do away with all these negative energy threatening to overcome your life, and just focus on the healthy and positive things. And in case you didn’t know this, the numbers 222 also mean peace and harmony. This is your cue to take a peaceful stance when it comes to the things that matter, and avoid being baited to negativity and hostility. The angel number 222 and love means a time to keep the faith. This is the sign to keep taking care of your personal relationships, even if the signs show otherwise. You have already invested time, energy, tears, laughter, and everything else that makes love and relationships they’re cracked up to be. Hold on a little bit longer and a little bit tighter, and your efforts will soon pay off. The more you keep seeing 222, the better and the stronger the message is for you and the state of your romantic life. Just keep doing all the good, empowering things that you’re doing. Don’t let temporary emotions and impulsive actions steer you off course or affect your line of thinking. 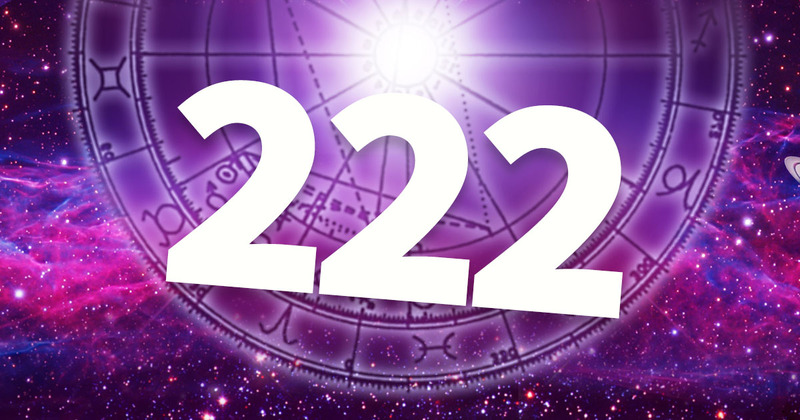 Remember that the meaning of number 222 is that your current goals are aligned with your highest purpose and the most excellent path. If you suddenly find yourself doubting all the decisions that you made in love and in your romantic relationships, stop right now. Know that you’re headed in the right direction, period. Just like angel number 111, angel numbers 222 also send the message that pertain to other relationships in your life, such as with your friends, coworkers, family, and even the public in general. If find yourself seeing the numbers 222 more often than usual, this can mean that you’ll soon be doing something that will bring people in your life together. This can also mean that you will be playing a part in coming up with solutions, compromise, or agreements. It will depend on wherever you are in your life and what situations you are currently in.But whatever the situation may be, the number 222 want you to put your grown-up hat on and take care of the problem. Have the initiative to find a resolution that will make everyone happy and satisfied. If you keep seeing 222 everywhere you go and anywhere you look, be on the lookout for exciting new opportunities. The angel numbers 222 carry the vibration of the number two, which is tripled, signalling a positive and wonderful message from the soul guides. Seeing the numbers 222 repeatedly means that whatever you have been planning or working so hard for the past few weeks is finally beginning to change your life, in small and positive ways. Stay positive, because 222 is a very favourable number. The angel numbers 222 also want you to know to not wallow in self-doubt or insecurity. Go where life takes you and just keep moving forward. Believe in your power and your abilities to make anything you want to happen in your life. Keep sending the universe all those strong positive vibes, and the universe will help to make it happen. The number 222 means everything is working out just as it should. Now you can reap the rewards of your hard work, let it all go, and trust that it will all work out. It’s the universe’s way of telling you that everything happens for a reason. Keep your chin up and soldier on like the fierce and feisty person you are. With angel number 222, trust is your biggest strength. You need to trust in yourself and what you want to accomplish in your life. There will be plenty of opportunities, and you may feel doubts or uncertainty before coming to a decision. It’s okay to feel that way, because what’s important is to make the decisions and trust that it will all work out. Haven’t we all experienced going through a period of doubt and indecision? And don’t you just feel that incredible surge of happiness and sense of accomplishment when you finally decide on something, no matter how big or small?